I did drove myself to the hotel so if you're bringing your own car, it is advisable to park inside the Eastern Plaza parking area (the hotel is attached to said mall) as there's limited parking right in front of the hotel and they'll charge your per night (as oppose to the mall parking, which was free). After sometime, I was quickly assigned my room, which was on the 11th floor. But I do wanted to mention that the hotel lobby eludes this sort of 'shagadelic' feel to it (I kept picturing Austin Powers bursting into the area in a dramatic way). So when I open the door to my room, I was a bit taken aback to see that the room was also a bit retro but with a classic twist in terms of design. Satisfactory in size but definitely looked groovy with brownish hews. I'll admit that it wasn't what I was expecting but for some reason the room made me feel relaxed and safe, which was definitely a plus. The room came with a view of the vast Tawau city area (I think I got lucky), so that puts me in a better mood. The bathroom has the necessary amenities and is still pretty adequate to me. I might sound a bit critical towards this hotel, but only because I was expecting the best since it's been totted as the current numero uno hotel in Tawau. Sadly, the hotel doesn't have its own swimming pool (but you can go to the apartment building next door to use theirs) but they do have excellent ballrooms (been into them several times for weddings & dinners), gym and cafes (see my previous post). The location is pretty simple, as long as you know where Taman Semarak is. Heck, it's probably the most well-known housing estate in Tawau. It's on the same row as another 3 food hubs so obviously the competition were very stiff within the area (more on the other establishments in my future posts). 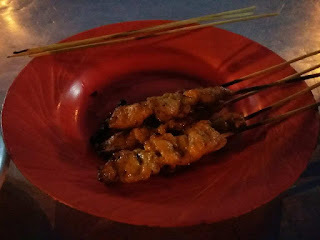 The food mainly consist of Cocos-Malay origin (I"m gonna make my own assumption here and said that the owner is Cocos?) and some Western dishes as well. Although it's clearly stated on the restaurant's signboard, I actually fail to identify any Cocos specialty dishes within their menu. Or maybe I'm just not familiar with them cuz most of the dishes are your typical Malay based food. But anyways, we nevertheless take on their Nasi Ayam Penyet (or Nasi Lalap - I forgot which one but the taste was so-so) and their Nasi Goreng Kampung (delicious but I had better). My one pet peeve with this place (cause I've been to the place on 2 separate occasions) was that most of the food on their menu were not available due to poor stocking of raw ingredients to make those dishes. Which was a shame though cuz I was hoping to try some other dishes that they had. 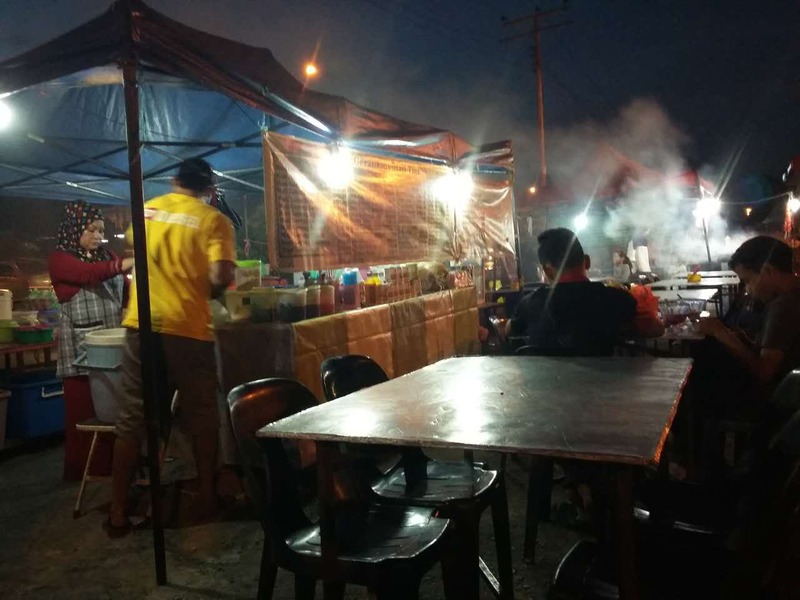 If you thought that Tawau doesn't really have a nightlife (well, not that kind of nightlife) then think again! For those that are in the know, there're actually 3 major places for you to experience the night time feel of having stall-type food in Tawau (and yes, I'll be reviewing the other 2 places later). One such place is known to all as the Takada food stalls. 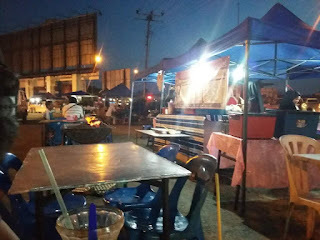 Consist of a long row of food stalls (and even some miscellaneous things as well), the place is actually situated at a commercial area called Pertama Complex. But trust me when I say that the general Tawau public will not know the place by that name, as locals are more familiar with Takada (I honestly have no idea what Japanese sounding Takada signifies - maybe someone can clarify this for me?). It's also good to mention that it's very near to Promenade Hotel Tawau and Eastern Plaza and opens nightly. Unfortunately my very ancient camera-phone couldn't rightly capture some of the food, as it was nighttime and on the outdoors (so hence the very limited pictures - my bad). 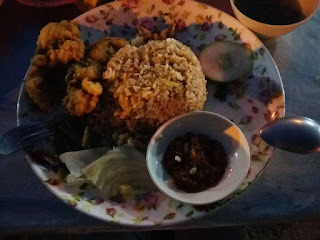 We actually had several things to eat but I can only show you the Nasi Goreng Kampung and Nasi Goreng Lalap (with the Murtabak Jawa, burgers and satays not included in the pictures below). Overall all of the food were pretty satisfying and quite tasty as well. It might not be as cheap as it was before, but at least the tastes were still above average. My personal favourite was none other than the Murtabak Jawa (with Tawau still producing the best version of the latter - hands down). I just notice that this particular place has been gathering cobwebs inside my laptops picture folder for a while now. Somehow I overlooked it a few times but not any more (yes, I'm partly ashamed of myself). This Tawau Seafood Restaurant sits nicely on the same row of building as its main rival the Ocean Area Seafood Restaurant (see previous post) and the ever-changing AX nightclub at the Fajar Complex area. According to their (very clearly, blind-people proof) sign board outside, the place is a Muslim restaurant therefore we assume that it also serves halal food. The owner (heard it from a reliable source) is actually a successful Chinese businessman who'd converted to Islam after marrying a Malay lady (a former Miss Malaysia no less). So hence the Muslim based restaurant. The food there were pretty good in general, with some hit and misses at times. During this trip, me and the 'rents decided to go all the way and ordered several items such as Fried Squid (pretty crispy), Special Fried Tofu (hands down the best in town - and that's saying something), Fried Rice for myself (meh!) Ginger Sliced Fish (again, very so-so) and dad's favourite the kangkung dish (me thinks it needed a few minutes more on the wok). I'm actually generally okay with the food and the place but I do have a little 'beef' with the captain of the waiters though. No offence to the old Chinese dude (cuz I'm sure he's been doing this for sometime now) but he really needs to 'read' his customers more carefully as sometimes he might do some (unintentional I'm sure) things that can get on your nerves. Examples? When he's already handing you the bill, when you haven't actually ask for it yet. Or busy cleaning up the plates on the table, when some body's still half eating. This restaurant used to have a chained around Tawau way back around the 1990s but (I'm guessing) because of the recent booming of restaurants similar to theirs, they decided to bow down and closed some of their branches. 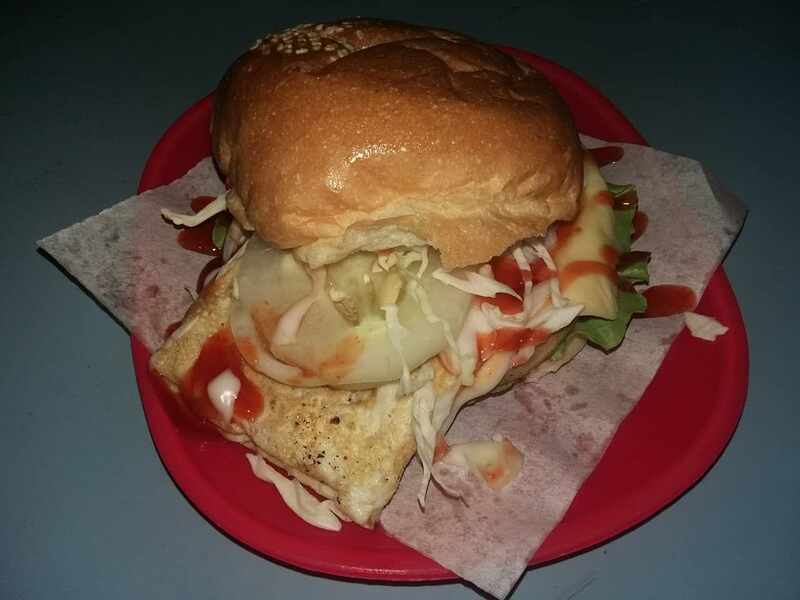 One of the surviving ones is located at the stretch of shops on Mile 3, Jalan Apas (in the same row as a Public Bank branch) and in close proximity to Tawau's shopping destination Giant Hypermarket. It's also been renovated recently so it does look sharper now but the internal design was a bit weird to me though. I kid you not when I say that it looks more like a prison (yes, a prison) cell than a creative booth from where I'm sitting. But that's not the important part now is it? I admit that it's been years since I stopped by so it does surprise me that not only does their internal decor has changed, but also the taste of their food as well. And I'm happy to say that the change was for the better. Me and my dear partner tried their Mee Goreng Mamak (which was not only visually pretty but delicious too), their regular Roti Canai (not bad but I've had better) and their Roti Bawang (okay at best but the curry that came along with the dish was something worth mentioning). Since we (that being me and my mum) just had had enough of Hari Raya food (for now), we decided to try something different. Newly opened Food Central has been on my radar for sometime now. There's no way to avoid it since it's situated right in front of Tawau's one and only McDonalds. 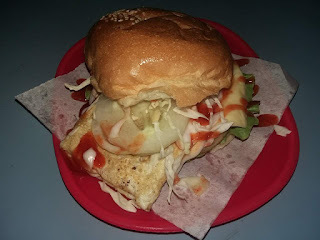 Owned by the same brilliant people behind the popular Taste Two restaurant in Perdana Square commercial area, the place has a food court concept which was actually quite rare in Tawau. It's quite hilarious to see me and my mum going all confused when we got there. Are we suppose to order our food at the stalls? Or do we just go straight to the counter? And why are people carrying that order sheet around?? So after observing 'quietly' for a while, we finally figured things out. At least we think we did. Apparently, you do need to order (or in some cases, you can straight away take your food of choice) from the stalls first before paying for them at the counter. And that order sheet? It's for specially ordered food, so you can pay beforehand and take your seat before the waitresses send it to your table once it's cooked. For our premier visit, I've ordered their Gon Lou Mee with Roasted Chicken (which tasted pretty good, but I think their Taste Two version was better) while mum just took their Nasi Campur (readily cooked dishes from the counter) which she'd given a thumbs up plus some fried noodles, spring rolls and fish ball. Yeah, she got greedy with so many of her favourites there. We also tried their dim sum & bun and both are pretty satisfying in taste. The food are mainly Chinese food (with a Teppanyaki station as well) so we're planning to come back to try on other selections such as their lovely looking chicken rice, noodle dishes, dim sum and buns. I'm not kidding here when I said that this food was so popular in Tawau that a non-local Chinese friend of mine even ask me 'sooo... do you have any burasak?' when she went to my house recently, complete with the local slang of said food. These two are by far the most famous Hari Raya food locally, both made from rice and coconut milk and took quite a while for it to cooked. 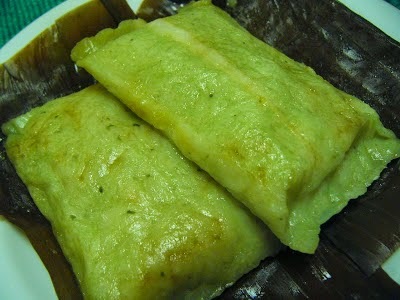 Now with the great buras/tumbuk comes this magnificent dish. To be eaten together with the latter, this chicken and galangal dish is a staple in any Tawau based Buginese people. There are two versions of this dish, one being the dry version (see below) and another a wetter version. 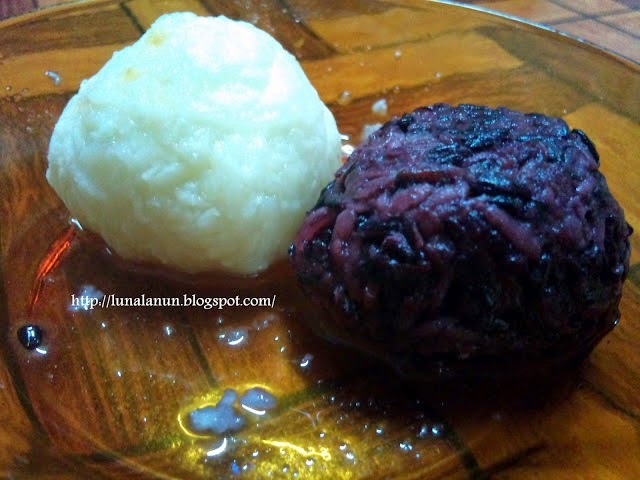 This is one of the top dishes that'll go perfectly with the buras/tumbuk. 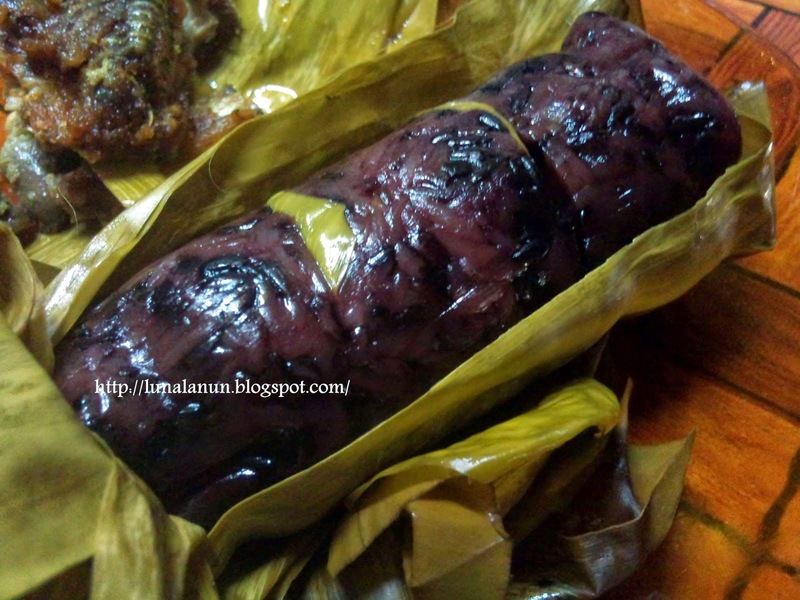 Although it might not be a local specialty (as it is also available throughout Malaysia), you'll definitely see vast versions of this dish within Tawau during the Hari Raya season. I'm not kidding when I said that I've proudly O.D on this dish the very first day of Syawal. 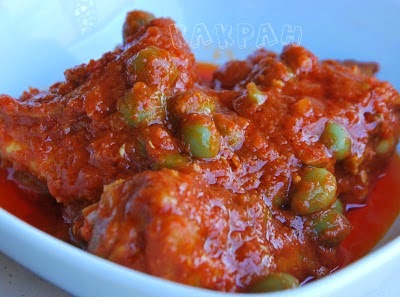 Another must have dish during this festive season is the Ayam Masak Kari (Chicken Curry). Again, we've seen this everywhere in Malaysia but here in Tawau, it's also one of the most popular dishes to prepare for Hari Raya. 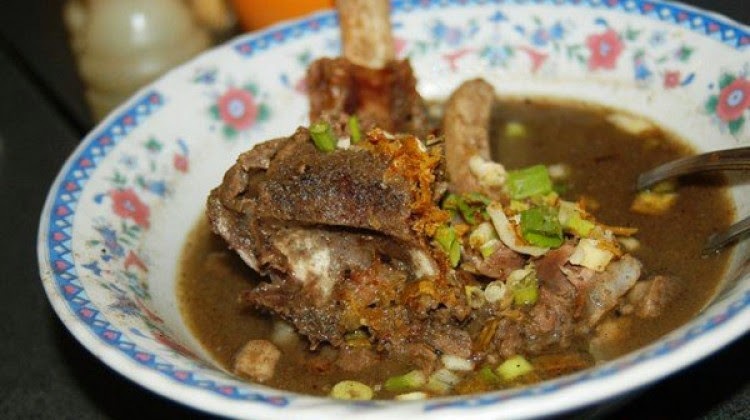 This soupy dish is also another side dish that can normally be seen within a Buginese household. I'm not really a fan of the cow bone but the soup was undeniably delicious, with the right ingredients of course. The one dish that I really, really love regardless of the season was the Berobok. It's a type of congee mixed with corn and other delicious ingredients that I don't even know but tasted heavenly when consumed. This dish has gain momentum throughout the recent years as one of the favourites for Hari Raya, mainly because it's not as time consuming in preparation as the other dishes above. 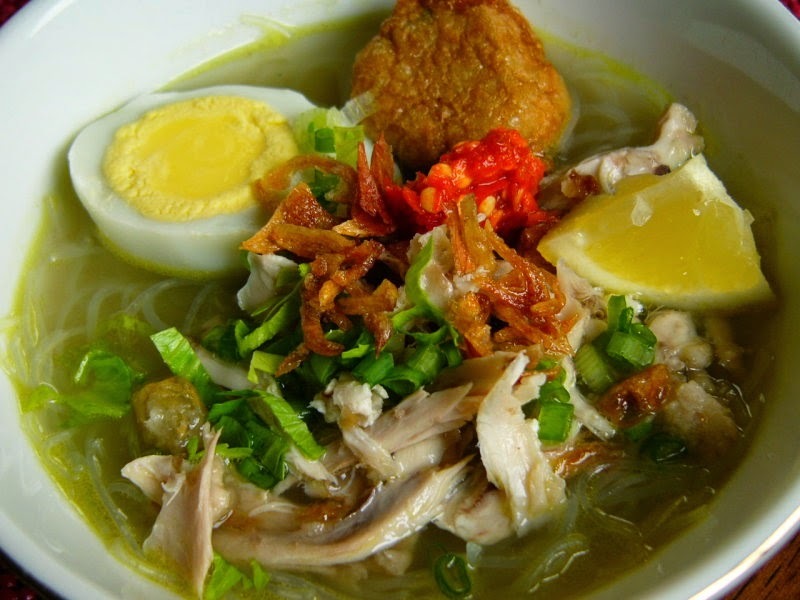 The most popular version seen in Tawau is the Soto Banjar version. Not to be confused with the Kadazan version of tapai, these tapai (one of the ingredient includes glutinous rice and comes in two variants) is rather sweet in taste. My dad is one such fan of the dish. My partner just live for this snack. 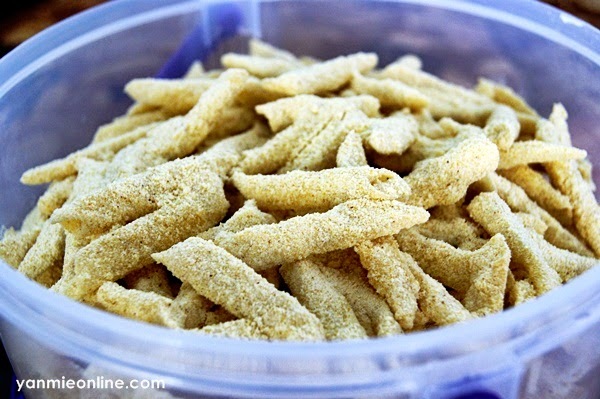 The kuih (or more or less a hybrid of kuih+keropok aka cookies+snacks) is popular due to the sweet and crunchy taste. But it can be a bit messy while consumption so do be prepare for it. I've just found out (yes, an unfortunate thing for a so-called, self proclaimed foodie) that this kuih is available throughout Malaysia and comes in different versions as well. But the kuih bangkit that are mostly available in Tawau are thin in texture and sweet in taste. 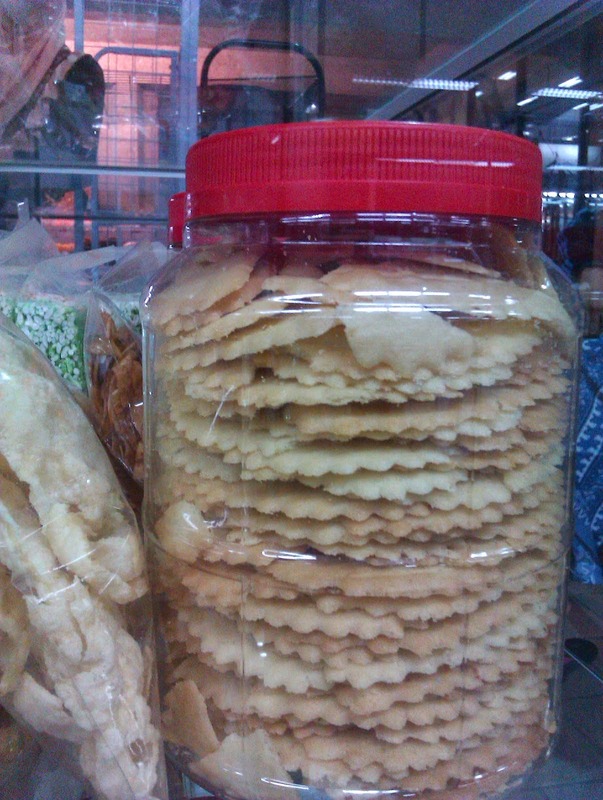 If there's one thing that Tawaurians can proudly claimed as theirs, this snack is it. I have no idea where this originated from but it's sure as hell delicious. 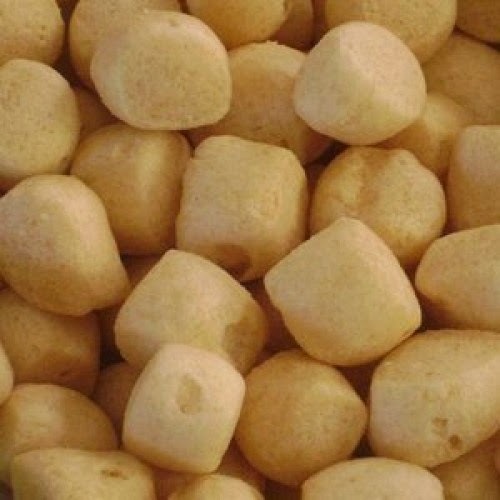 But I do know that this simple looking snack is made from either fish or prawns and it can get very addictive as well, as I've have cleaned out a huge container of this delicious goodies in a single seating.